Autumnal colours in a gift bag. 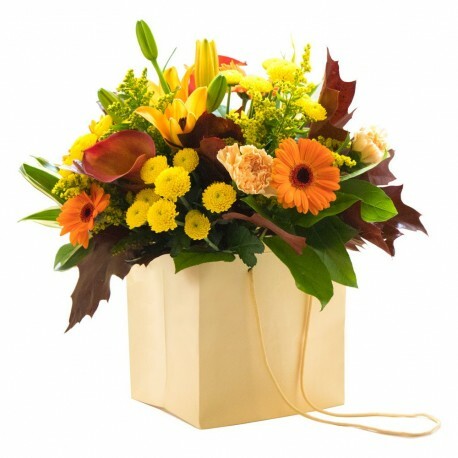 Flowers include crisp gerbera, chrysanths and lillies. A glorious mix and very popular in Autumn. This bouquet will be hand delivered by the local florist.